Viewed from afar, North Korea may appear bizarre, or positively irrational. But as Nicholas Eberstadt demonstrates in this meticulously researched volume, there is a grim coherence to North Korea's political economy, and a ruthless logic undergirding it--one that unreservedly subordinates economic welfare to augmentation of political power. 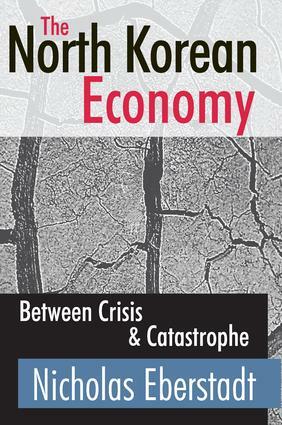 Thus, paradoxically, even as official policies and practices consign the DPRK economy to a perilous realm between crisis and catastrophe, the country's leadership maintains unchallenged domestic control and has actually managed to increase its international influence.Through painstaking collection of hard-to-uncover data and careful analysis, Eberstadt provides a quantitative tableau of North Korea's terrible failure in its economic race against South Korea; its stubborn adherence to policies all but guaranteed to stifle growth and undermine economic performance; and the longstanding official effort to ignore, or mitigate, pressures for economic reform.Eberstadt is skeptical of optimistic accounts from South Korea and elsewhere suggesting that the North Korean leadership is interested in resolving the current nuclear impasse, and getting on with the business of reform and development. So long as Pyongyang's rulers entertain the ambition of reunifying the Korean peninsula on its own terms, Eberstadt argues, economic reforms worthy of the name will be subversive of state authority--and vigilantly resisted by Pyongyang's rulers. This authoritative volume has received widespread attention from Asian specialists, well as those concerned with nuclear proliferation and world peace, and international relations professionals in general. Reform, Muddling Through, or Collapse? If North Korea Were Really “Reforming” How Could We Tell and What Would We See?